The Group has acquired digital copies of the Catholic Baptism, Marriage and Burial Registers for the Bathurst Diocese. These are not available for perusal by members, but our Research Team can undertake research on request. If you would like our research team to undertake a search for you, please download and complete the Catholic Registers Search Request Form from our website. Copies of the form are available at our research group meetings at Bathurst Regional Library on Tuesdays between 2 and 4 pm. The cost is available on the search request form, currently as at 2017 $20 per search ($10 for BFHG members) includes a copy of entry in Register and postage. The fee is payable when your search request is submitted. Please be advised that fees are for searches to be conducted and may not necessarily result in an entry being found. Bathurst Family History Group Inc. 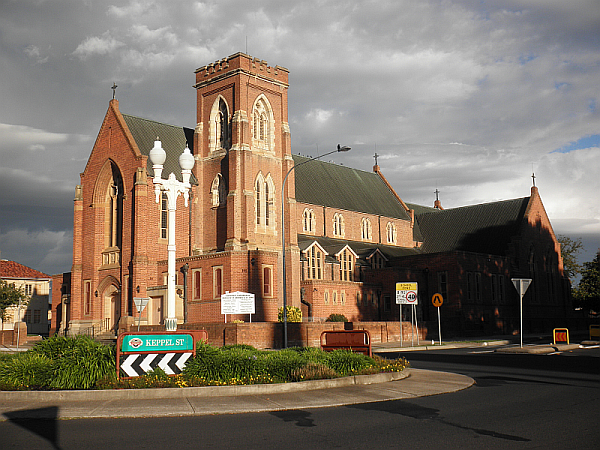 The Roman Catholic Diocese of Bathurst is a Latin Rite suffragan diocese of the Archdiocese of Sydney, established in 1865, covering the Central West and Orana regions of New South Wales, Australia The Cathedral of St Michael and St John the Baptist is the seat of the Bishop of Bathurst. The Cathedral of St Michael and St John, Bathurst.